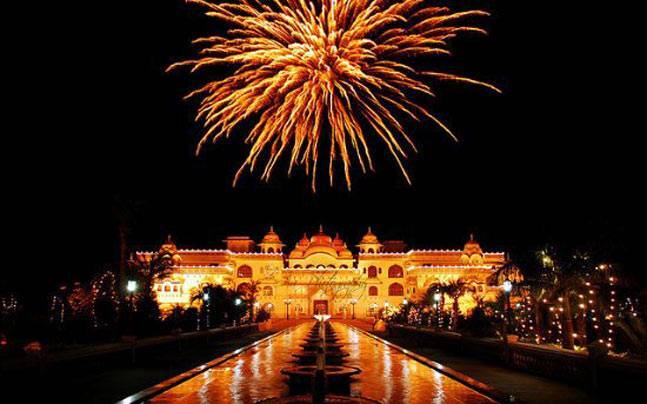 Celebrate This Year’s Christmas & New Year At These Beautiful Indian Cities! Christmas and New Year is around the corner, many of us would be looking for some exciting places to bid a good bye to this year and to give a perfect start to the other. Traveling and exploring new places is a growing trend that is taking shape in India. There are enough places in this country to make sure that Christmas holidays in India are well spent by travelers. So here we are listing some places that you can plan to visit in these coming days..
Goa is an ideal place for a vacation around New Year. It is a connotation for celebration, especially, when it comes to Christmas. The entire city is decorated with poinsettia flowers and lights. Night long parties on beaches, friendly chats and cocktails in bars and pubs, cathedrals decorated with lights and flowers, and midnight mass in churches with little children singing melodious carols. 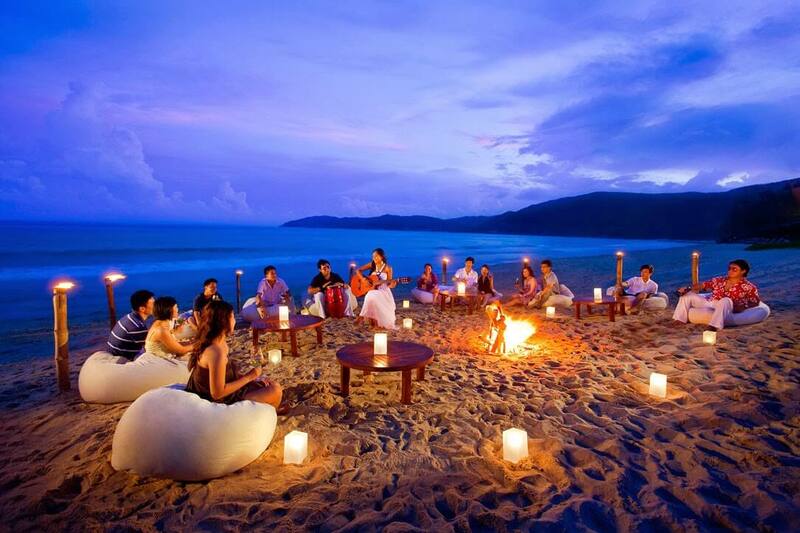 You’ll never run out of options for fun and festivities in Goa. Mumbai is yet another place in India, where the warmth of Christmas can be greatly felt. The western suburb of Bandra is the specific area where the spirit of Christmas can be felt the most, one can see the houses and streets decorated with lights and Christmas trees. With many beaches and historical places to explore and clubs ready to give you a dazzling start to your new year – Mumbai caters to you the way you would like it to. During the Christmas season, Delhi enjoys a feel of sensation with shopping malls decorated, Christian localities bathed in shimmering lights and clubs and lounges throwing theme parties everywhere. 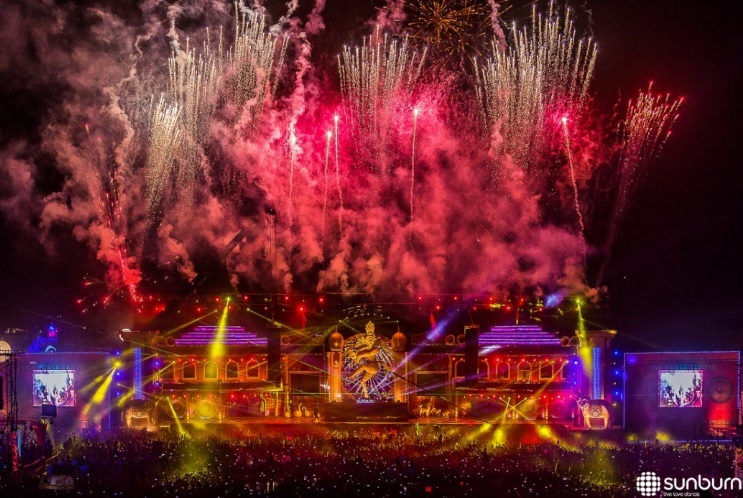 The popularity of this festival can also be proven with the large crowd irrespective of religion in the Sacred Heart Church in Connaught Place to attend the Midnight Mass. Even the chilly weather cannot diminish the charm of the warmth of Christmas that this city holds. Shillong offers a plethora of fun and engaging activities during the festive season. It is undoubtedly among the best places to visit during Christmas in India. Shillong offers a mesmerizing experience in the lap of nature. The chiming of bells, warm greetings, melodious hymns and tall natural Christmas trees all add to the festivities. This pretty as a picture place is good for those on a shoestring budget and seeking for a cold place to go to for New Year’s! If you are seeking a zealous Christmas celebration that is peaceful at the same time, then Puducherry is the place for you. Auroville is a prime attraction here, a township designed with the purpose of human unity. During the Christmas season, Puducherry becomes brighter and you can feel the exuberance in the ambiance and you are compelled to be a part of it. Enjoy a peaceful celebration as you spend your evening at a beach, gazing at the endless ocean waves with your loved one. One of the quietest and well-maintained hill stations in Uttarakhand, Lansdowne is a stunning place with mesmerizing landscape. The best thing about Lansdowne though is that it’s insanely close to Delhi, at 248 km it is not more than a five hour drive from the capital. Plan your own little celebration in the hills with a bonfire, some music, beautifully decorated Christmas trees and gift exchanges. Manali is the Indian favourite for witnessing snowfalls and skiing. Full of pine trees, fruit orchids and hippies, it’s an ideal place to celebrate the new year in India for those who want to end their year on a high, both literally and figuratively. This popular Himachal’s destination is perfect for those who want to celebrate the Christmas amidst real snow. Mostly it snows during the Christmas time in Manali, which gives the tourist the chance to enjoy skiing and making snowman or simply throwing snowball at each other. The chill mountain air and the gorgeous apple orchards sprawling around the landscapes, Shimla is one of those destinations that you can go again and again.If you’re looking for a white Christmas in India, look no farther than Shimla. 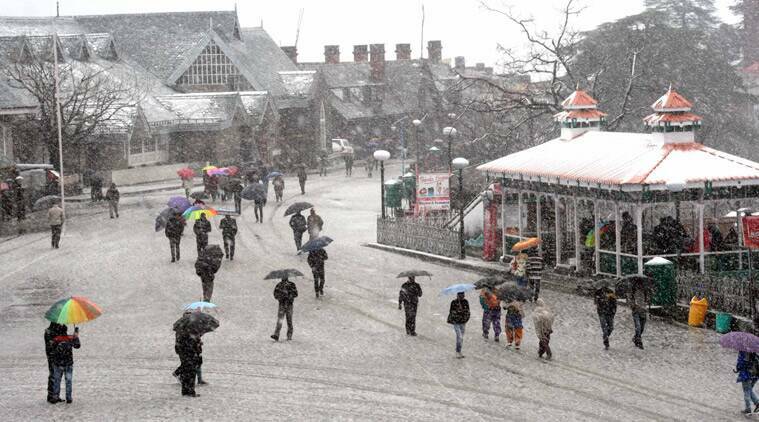 Add Shimla to the your of places to visit near Delhi in winters if you really want to make the most of winters. Shimla along with Chail and Kufri are a good weekend getaway option. Coupled with its beautiful sunset and dawn views and its clean surroundings, this small town is also called the “Switzerland of the East”. The most favorite places of all trekkers and mountain lovers, Sikkim turns into a heaven once snowfall starts, which makes it one of the most incomparable places to visit in winter in India. Sikkim is that picture-perfect paradise that will surely make this festive season more fun and lively. 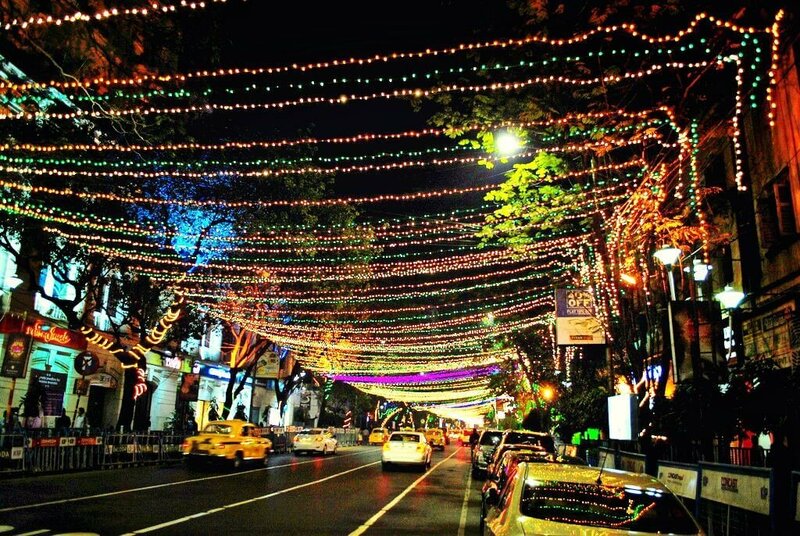 The City of Joy becomes brighter and livelier during the Christmas season. For a traditional flavour of Christmas in Kolkata, head to Nahoum’s, one of the city’s oldest bakeries that’s famous for its rich fruit cakes, mince pies, steamed Christmas pudding and macaroons. Light and sound exhibition, rock music, shimmering lights and delectable food makes the ambiance in the city merrier! Visit the place around new year’s eve if you want to be treated like royalty. If you feel like diving into the local heritage, you can spend the new year’s eve at Choki Dhani, witnessing cultural performances and eating delicious Rajasthani cuisine. Toast to the New Year as you and your loved ones enjoy superior views of the stunning fireworks display at midnight. Start Planning and Keep Traveling !! Connect with us on Facebook and Instagram to get updates of our upcoming blogs. Anyone can write with us. So, What’s waiting for ? Start Writing ! Next BEST FIREWORKS IN THE WORLD !!! Subscribe and receive notifications of new posts by email. Stay Connected with us ! !